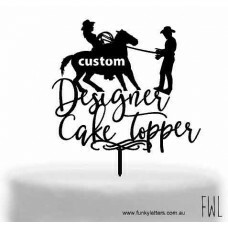 These lovely cake toppers come in a variety of acrylic colours and laser cut MDF for the burnt rusti.. 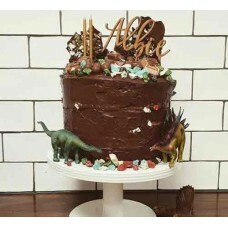 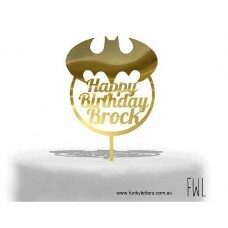 These single number cake toppers are approx 7 , 10, 15 cm high (not including the 4 cm - 5 cm .. 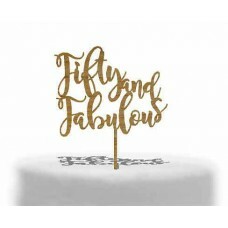 These cake toppers come with one word/name and a number. 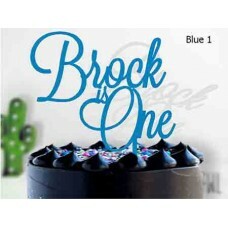 Please write orientation of name and .. 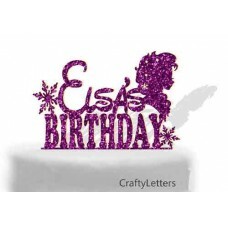 Your babies first birthday is always very special, so why not get a gorgeous cake topper that you w.. 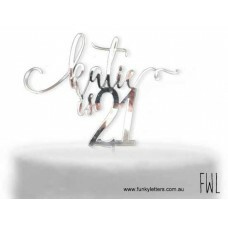 Aged cake toppers Written either all lower case or 1 capital letter and the rest lower case&nb.. 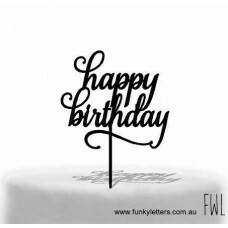 These beautiful cake toppers are made up of 2 lines. 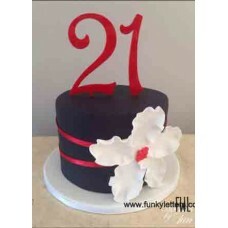 The top line has one name and age and the.. 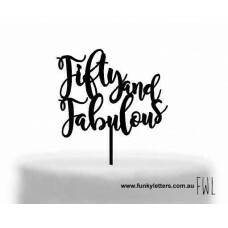 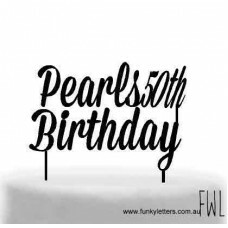 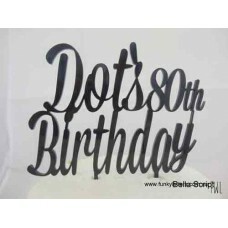 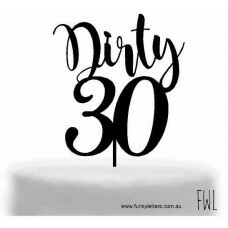 Dirty 30 Birthday acrylic Cake Topper approx 13cm width prongs are 5cm deepChoose from a vari..
Fabulous @ 50 cake topper. 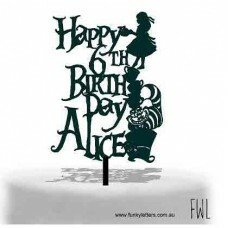 Made from beautiful acrylic or Eco friendly bamboo or MDF and comes in a .. 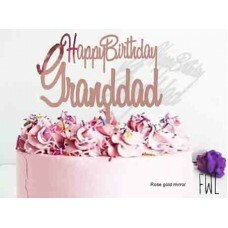 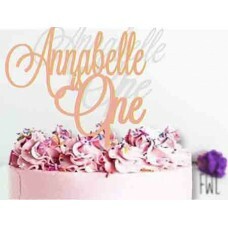 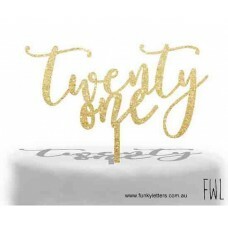 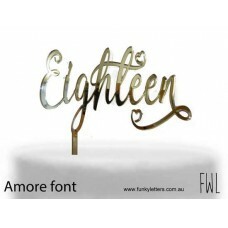 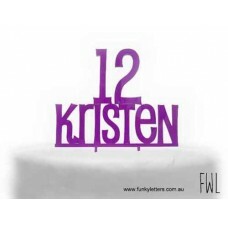 These beautiful cake toppers come in a variety a acrylic colours and fonts. 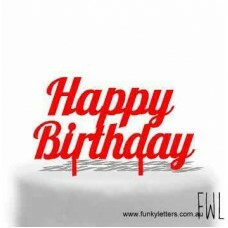 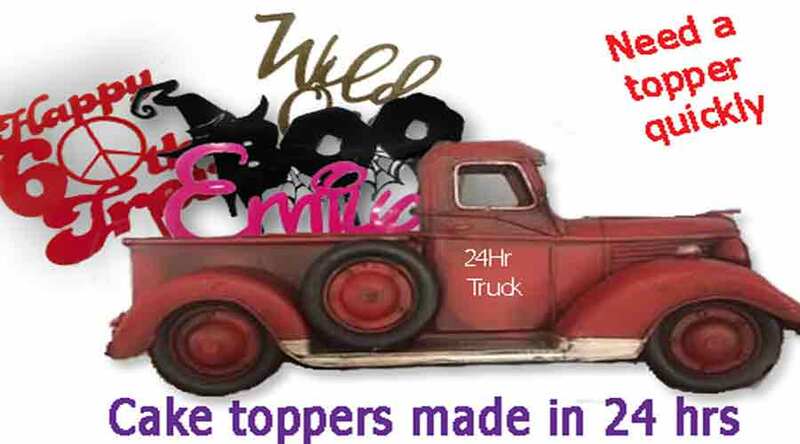 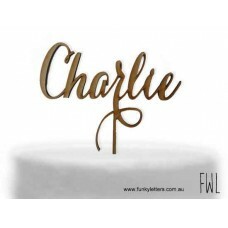 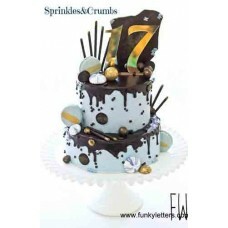 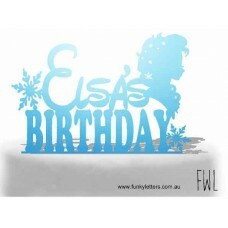 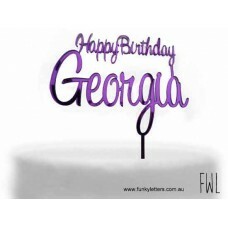 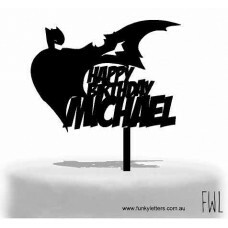 They consist of two..
Generic cake topper happy birthday comes with 5cm high prongs.This cake topper is sized to fit a..